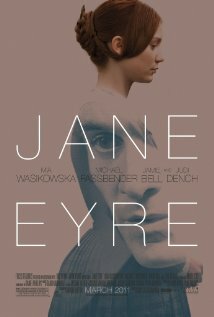 ::Daily Me19::: (Drama/ Movie Review) Who is Jane Eyre? (Drama/ Movie Review) Who is Jane Eyre? After a bleak childhood, Jane Eyre goes out into the world to become a governess. As she lives happily in her new position at Thornfield Hall, she meets the dark, cold, and abrupt master of the house, Mr. Rochester. Jane and her employer grow close in friendship and she soon finds herself falling in love with him. Happiness seems to have found Jane at last, but could Mr. Rochester's terrible secret be about to destroy it forever?Written by Mel Bellis in the U.K. I begin it with a question, “Who is Jane Eyre?”. First thing comes out of my mind when I hear someone mentions “Jane Eyre”. “Who is that?” Or sometimes maybe “What is that?”. If I were asking “Who” then I bet we are refering to someone, a girl, a woman with pale skin and very long hair. Name “Jane” is very popular to describe an innocent girl with beautiful dream. But this Jane, our Jane Eyre, is different. The first scene in this movie is opened by Jane Eyre herself. She opens the door and run from nothing. Why do I say nothing? Because we could see someone or something run to her, but in reality, she is hiding from her past and her mind. She is whispering as her begining sentence and say, “I’ll die...”. From this sentence, I think we could catch a very little chunk of her character which is tried to be described by the director that Jane is really lonely. I’ve read a bit the novel and quote her cousin John Reed says, “...you are a dependent, mama says; you have no money; your father left you none; you ought to beg, and not to live here with gentlemen's children like us, and eat the same meals we do, and wear clothes at our mama's expense...”. In this story, they put Jane as an outcast that Jane grew up to be someone who would appreciate loyalty in her own way as to her friend Helen. While, Mr. Rochester is really strong for him self. He also a smart man asking Jane some question about herself. Jane, sometimes could be intimidated by his words, but she depends well. This movie is quite unique because we could find forward and reverse plot. Starting from adult Jane and come to her past played slowly to explain what had happened to her. The extrinsic element maybe seen from the culture at that time which forbidden woman to be more than man as Jane said to Mrs. Fairfax when she is looking out of the window at Thornfield Hall. The christian school as Lowood Institution also make me think that sometimes school and its rule can be a nightmare for a little girl like Jane and Helen. In conclusion, I agree if we say that “Jane Eyre” movie is great, even unique in sending message about someone’s character, what could happen to a very young girl in her life and the most important thing is every single person deserves happiness.